By Caz | January 16, 2019 | This post may contain affiliate links, which means we may receive a small commission, at no cost to you, if you make a purchase through a link. Read our Disclosure. Craig and I are eternal nomads. It resides along with oxygen in our blood now. There is not a place we visit that we don’t evaluate in terms of whether we could live there or not. We are always looking for the next place. There are many places we have visited and adored, but we have known anything more than a temporary stay could result in a less romanticized view of it. Sometimes I get quite sad at the brevity of life as it means I’ll never be able to live in all the places I really want to live, which is one reason I get so frustrated remaining stuck in a place I don’t want to be. Here are some places around the world where we feel we could really live for awhile. Okay, so we have already lived here. But, that doesn’t mean we couldn’t again! We loved living in Bangkok and could again, but next time I think we might head down to the islands for awhile. We would probably base ourselves in Phuket, just because it is a hub, there is plenty to do there, and there are so many surrounding islands we could explore. Thailand for us has everything we could ever need in a place to live: climate, relaxed lifestyle, cheap living, great beaches, delicious food, awesome shopping and massages. It is a toss up between Paris and somewhere like Bordeaux. 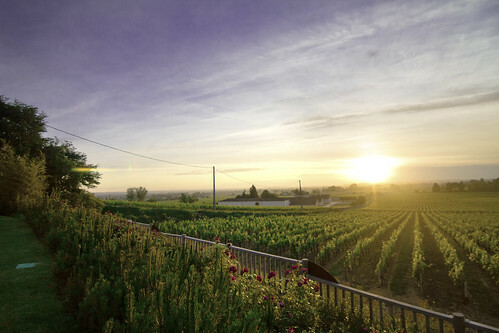 I would love to rent a cottage for awhile near the wine region, that is also not that far from the coast. I could handle spending my days cycling around the village, eating french bread and cheese and drinking red wine. It would also be great to learn some French, get to know more about a culture so unlike my own, and use it as a base to explore more of Europe. 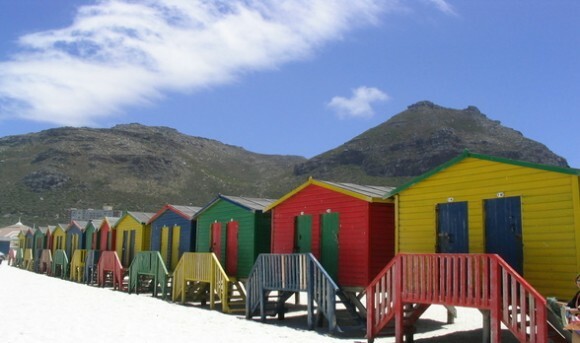 I think Cape Town is the only place I have visited in Africa where I could see myself living. Cape Town is my favorite city. Not only is it spectacular, but it has an outdoor lifestyle similar to Australia. There are beautiful beaches, wineries to explore, lots of hiking and exploration activities, cultural diversity, and gives you a base to explore more of this stunning country and continent. Hanoi is one of my favorite cities around the world. I loved its Oriental charm, and could spend days wandering around the old quarter, exploring more of the city on bicycles, or waking up to early morning Tai Chi sessions around the lake. Hanoi has that bustling Asian city life that I love. It is cheap, the food is great, and it can be used as a base to explore more of the wonderful South East Asian region. 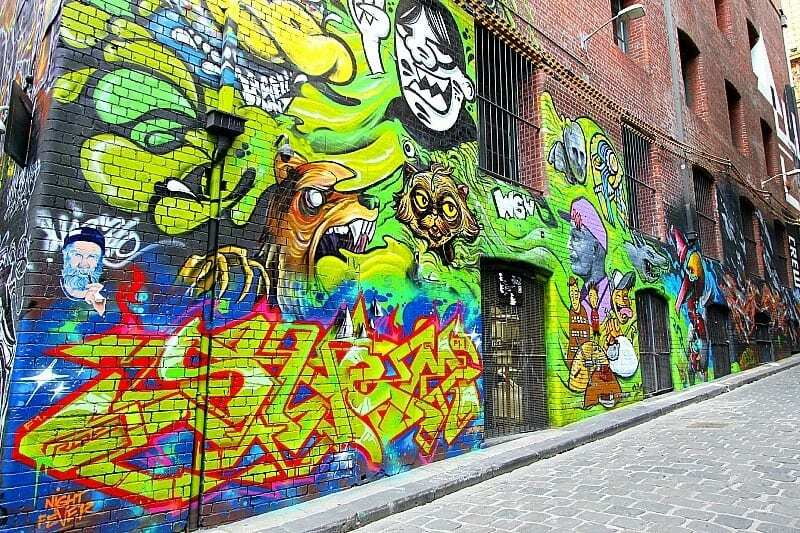 Melbourne is a city we have not spent a lot of time in, but would love to get to know it more over the summer months. The summer in Melbourne is when everything is happening. The weather of course is warmer there and there are lots of major sporting events happening. Melbourne is a city of culture, arts and sports. We would love to be there for the Melbourne Cup, Australian Open, Grand Prix and to experience the cafe culture, amazing eclectic neighborhoods and culinary delights. Okay, I have lived here before and probably could miss out on not living here again, but Craig would really like to. I would limit my nomadic experience here to just the summer months. This is when London comes alive and the vibrancy is really unlike a lot of other places, probably because it is so sombre in the winter time. London is a great base to explore Europe, and from pub culture, to historic sites, to beautiful parks and bustling nightlife, it makes a great place to live for awhile. Chicago would have to be just a summer time living experience. I could not do a winter here; four days over Thanksgiving was enough. There is no wind like that which blows through this city. 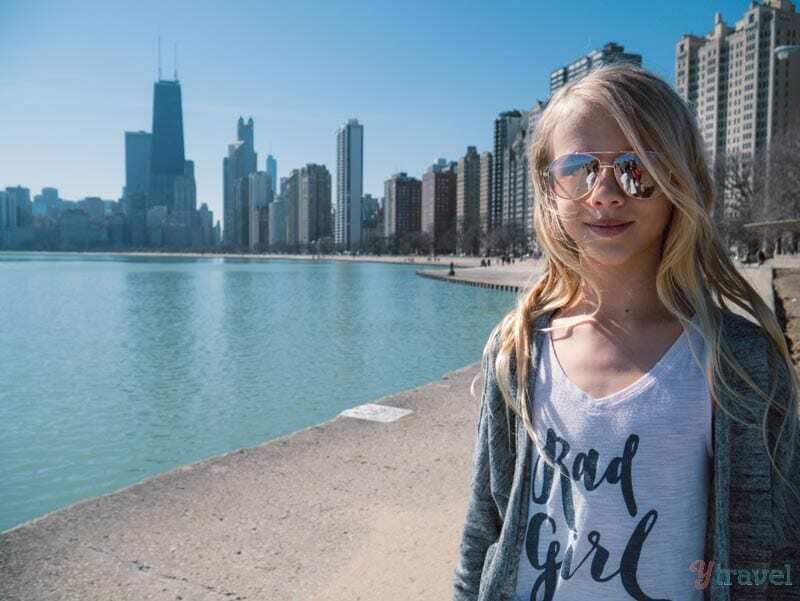 Chicago has such a big cultural and arts scene, and is also really pretty with the river that winds through it and Lake Michigan gives you the feel of the ocean being nearby. There is plenty to do and see here and it would satisfy our love of music and cafe culture. Coolangatta is a place that feels like home to us the minute we cross the border from NSW into Queensland. It has an active outdoor pace to it, beautiful beaches to explore along the coastline, a warm climate, and plenty to do in the surrounding hinterland areas. 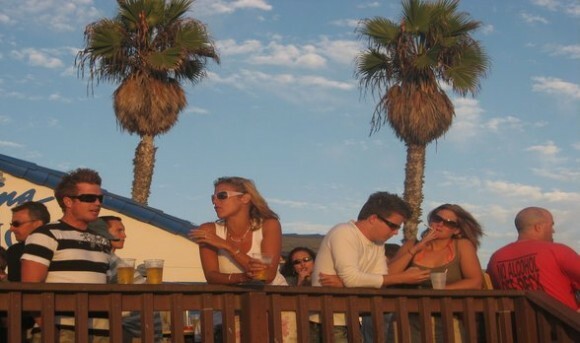 We had a small taste of what living in San Diego would be like when we spent two weeks hanging out with our Australian friend, Danielle, in Ocean Beach. She used to live in San Diego. Ocean Beach had a much more local feel to it than Pacific Beach, and we found the lifestyle very similar to an Australian beach town. The only problem was I found the temperatures did not reach the summer heights I would really like, and the ocean temperature was a little too chilly for me. A bizarre choice to include on this list of places I could live around the world. I thought so the first time I heard I had been placed here. We had to pull out the map to see where it was. Now, it is the only place on this list where we can see ourselves living permanently. What makes Raleigh so great that two 14 year nomads who have lived in four other countries would make this there permanent home? There are just some places that grab your heart, and it grabbed ours unexpectedly. We just feel like this is home. It is a city that has everything we need, but it is not so big that you get lost in it. You can amble down its leafy oak streets with bars and cafes lining the sidewalk and still forget you are in the capital city of North Carolina. 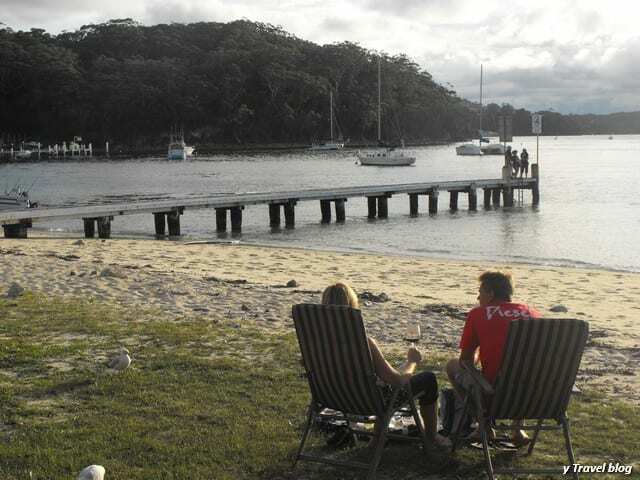 It is an affordable place to live, it is two hours to the beach and two hours to the mountains. It is halfway between New York and Florida. We love the Southern culture and hospitality. Three major colleges are within a 30 minute drive of Raleigh, which means vibrancy. There are lots of young people adding life to the area, and of course we are now die hard UNC fans so love to be living close to Chapel Hill, the home of the Tar Heels. Actually, we could live in Chapel Hill rather than Raleigh. Of course we have not been everywhere yet! Some other places that I am yet to explore, but have a feeling I may enjoy basing myself for awhile would be Costa Rica, Brazil, or Argentina. Help us discover new livable places. Where could you live around the world and why? What makes a place livable? Do You Have a Soul Home or are You Called to Travel to Certain Places? Oh! I’m so glad to know that other couples evaluate places on if they could live there! My husband and I do that too! We do all the time. What are some places you have found you could live in? cool suggestions. We love San Fran. Will have to put Arles on the list. Tell me more about why the political aspect has you not wanting to return to Bangkok. We haven’t been there since 06 and are a bit out of the loop as it its stability there. While I’m not sure I could live there again, because of the pollution, we still would love to go back. I definitely think I could live in Thailand. I also loved Berlin. And Buenos Aires. And Istanbul. Drat…do I have to choose one? Ideally…I mean, really ideally…I would live in a place for 3-6 months and then move on to another place! I have heard a lot of great comments about Berlin before as a liveable city. Must put it down to check out. We both really loved Istanbul as well. Not sure if I could live there but could spend a couple of weeks there. Glad to see you have my hometown of Chicago on your list. Although I don’t live there anymore, I visit as often as possible. Good list! There are so many places I’d like to live — even for just a couple of months. I know you’ve already lived in Ireland, but I’d add that to the list for myself. Nice post. I love how you put Raleigh, unexpected but I think you’re right – there are some places that just capture you’re heart. I don’t think I’ve travelled enough to offer an informative opinion on where I’d live but I’d say London and New York City. I don’t know if I could live in either place for a long period of time, but a few months would be ideal. Wholeheartedly agree with Melbourne and San Diego–although I prefer Nice in France 🙂 I’m super stoked for the Melbourne Cup here, and absolutely adore the cultural and cafe scene. Haven’t been to many places on your list–but there’s still time! I didn’t really like Nice. I didn’t spend much time there so would love to go back and give it another try. The big pebbles on the beach kind of ruined it for me. You will love the Melbourne Cup. Maybe we can meet you there! I hear ya about the temperature not getting warm enough in San Diego. I love it super hot with bath water ocean temps. I haven’t been to a lot of these places, but I could definitely live in Thailand for a while! Hope you can find a new home. Just a bit confused by your London comment- it is on the list. Was this a typo? I have a list as long as your arm! The only two places I know from your list are London, with which I totally agree. I go for years without visiting and then it comes back into my life, although I’ve never actually lived there. The other place is Raleigh, which is close to where my son used to live in NC. My first thoughts are NY, the Outer Banks of NC, Rome Italy, Edinburgh Scotland, Nice France (I didn’t like it the first time either, but having been back a few times over the years I fell in love with it. )and somewhere in the Florda Keys. Of places I haven’t been but dream of – coastal Maine, San Francisco, Bali and the Seychelles. The outer banks would be a great place to live. We also like Wilmington just south. Oh and I have just thought of Savannah!! How could i have forgotten that place. Bali I have thought of, but there are too many young, drunken, idiotic Aussies ruining the place there now. I’m sorry I didn’t go to Bali years ago, before it was spoiled, and yet, because I live on an island which has, in fact, been spoiled by tourism (here it’s young Brits running around drunk or stoned, or retirees pontificating) I’ve come to realize that there are tons of places which tourism hasn’t touched. I almost left a few years back, but lost a load of money and couldn’t, so I decided to look at the island as if I was visiting. That lead me to all sorts of places and fiestas and events where I didn’t see another Brit. I’m pretty sure Bali will be the same. Whether it’s practical to live outside of the tourist areas is another matter. Here, yes, you can, but I don’t know that it’s true elsewhere. It’s great that you were able to look at it with new eyes. It is amazing the things we see when we open ourselves up to doing that. I think I could do those places for about a week. Craig may not last a couple of days! 🙂 I think you’ll like the outback here in Oz then! I would definitely recommend Broome in Western Australia. It is a real slow, outback coastal town. I”d like to eventually settle in Bali. It’s got amazing culture, arts, architecture. It’s tropical. Has a huge variety of beaches and towns. Blend of locals and westerners. CLose to my favorite city, Singapore, plus Malaysia, Thailand, Australia, other INdo islands. Great food. Great people. just perfect, really! I have been to Bali a couple of times but not really experienced many places for long periods of time around the island. Will have to get back there. i loved Sumatra, but don’t think I could live there. Nice list! Wonderful photos. Haven`t been to all these places yet, but would love to visit them. As for living somewhere, Australia and the East coast of the US are on top of my list. Fantastic list of diverse places! I really enjoyed your Thailand & Vietnam choices. 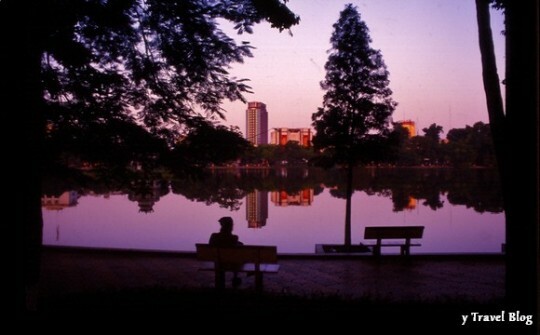 I agree with you fully on Hanoi – far more scenic than hectic Saigon. The ‘gem’ you mentioned in my opinion is Chicago (my favorite North American city) that features stunning architecture, non-stop entertainment and more of a small city friendly atmosphere. Whenever, I go abroad I always try to include at least a stopover in the Windy City. Chicago is a gem, I preferred it to New York, although I loved New York. It does have a small city friendly atmosphere. Would really love to experience a summer in Chicago. I also think “could I live here?” as soon as I visit a place – it’s nice to know I’m not the only one. I’d love to live in Hong Kong, Bali, Barcelona or anywhere in Italy. I have lived in Tokyo, Ho Chi Minh City (better to live there and visit Hanoi regularly than live in Hanoi, i’d say!) and now live in Sweden. Stockholm is a place that you should consider – maybe just for a short time though because it’s damn expensive!! Barcelona would be cool. I’d love to go back and spend more time in that city. I think Stockholm would be a place just to visit for me, but you never know. It must be really interesting living there. I might save it for when I am ultra wealthy. Yay!! Go Carolinas! Such a special place that no one ever thinks of. I loved San Francisco but I don’t think I could live there. I could spend a couple of weeks there and that would be it. The weather would just kill me. I pick Riga during the summer. That’s why I’m here now! It’s relatively inexpensive and not too crowded (yet) with tourists, locals speak excellent English and are friendly. Great list! Glad to see Thailand up there. What about South America? Did I not see any love up there for that continent? I’m from London but now live in Beijing, although at one time I was torn between Buenos Aires and Kuala Lumpur. I think KL would have won as it’s such a great base for short visits to all the other destinations in SE Asia. We lived in San Diego for two years and loved it! We’re also spending a month in London in August (our first time there), so I’m so happy to hear that you enjoyed it and the summer months are nice. I lived in London for a while too and would do it all over again especially since I was there during the winter. 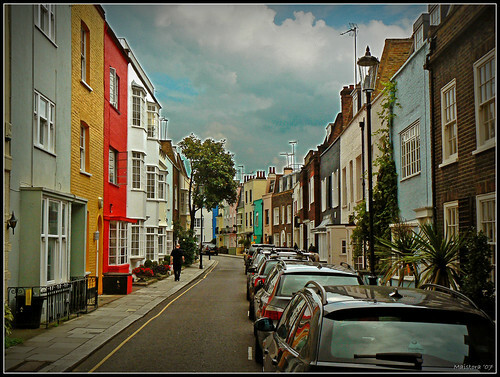 I would love to spend a summer in London. There is always so much to see and do and if anything the parks and pubs would keep me occupied forever. Buenos Aires, Argentina because it is beautiful and there are so many diverse cultural activities (many free). Denver, Colorado because they have delicious microbrews and lots of outdoorsy nature stuff close by. We did love Denver! I think I would have to make it a summer stay. We had a great day out at the Coors brewery! I really want to visit BA- heard so many great things about it. New Zealand didn’t make the list? I still think it is the most beautiful place I have ever visited, but there’s a lot of the world I have yet to see! Montana, USA is probably my favorite place that I’ve ever lived. But then again, I’m a sucker for mountains and rivers. And space. This is a good list. We love Thailand, but I’ve been in August and did not enjoy it- hot, humid, rainy is not my ideal place. Although in January it is great- hot and sunny. One place off the beaten track that we loved was Uzbekistan. I could go on for a long time. Of course, places run by dictators can’t be high on the list, but for a foreigner, it was a great place to live. We still have dear friends with whom we keep in touch. And lastly, I have to add Cappadocia, Turkey to the list. We are living there now and love it. As is clear I prefer less crowded areas. Having lived in LA for years, I’m fine with no traffic. Do you know Brooke Vs the World? She lived in Uzbekistan for awhile and loved it. Not a place I had thought of before. We loved Turkey but did not make it to Cappadocia. Will get there next time, have heard how amazing it is. Lots of good choices on this list, I will add a couple more options: Budapest – cafes; Prague – stunningly beautiful; Vientiane – laid back & still small enough to feel like a village; Amsterdam – art and life and walking/biking; Vancouver – close to mountains and right on the water. Budapest is popping up a lot lately. I agree with Prague as well, although did not spend a lot of time there. We weren’t too fussed on Vientiane for some reason and Vancouver we would love to check out. The list is always far too long. We have thought of a lot of places since we could add to it. We might have to do a second post. Barcelona would be on it I think, it is a great city. PS – yay! no more captcha code!! Wow, what are some really nice place to live. Great options though. Love your list and making me think of a few of these to consider visiting on our list. I would suggest adding Ambergris Caye, Belize – 20 miles from the main land of Belize with mountains and the second largest reef in the world. Also, I would add Burgundy to your list with respect to France. Ljubijana, Slovenia – 1 hour to Adriatic Sea and 1.5 hours to Julian Alps. Great people, food, and economy. A hidden gem in eastern Europe in my opinion. I would love to visit Belize sounds amazing. Thank you so much for your other recommendations. They definitely are going on our list of places to check out. they sound great. we’ve got a lot of living to do. Knowing we both fell in love with Raleigh makes me think I should make the rest of the places on this list a priority to visit sooner rather than later! Thank you so much for the post. I actually ask myself this very same question every time I go somewhere new, tell a lie, I always imagine myself to be “settling down” there, where ever “there” is. 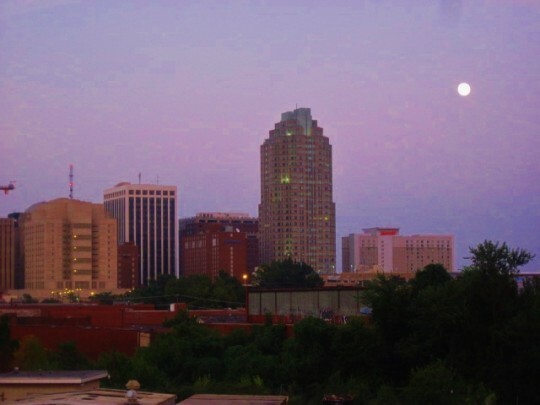 Re: Raleigh, North Carolina – Very interesting, not been there before (have been visited America a few times) and will certainly make a point to check it out. Ps. Glad to see Vietnam up there. Every time I get to a new city I start to contemplate whether or not I could live there. I usually think I could but if I stop and really thing realistically I think that Madrid and Sydney of course are high on the list. The problem with Madrid is that there is no ocean nearby! I also think I could stay for an extended period somewhere in Portugal and in Munich. I have so much left to explore though so we’ll see how things change! 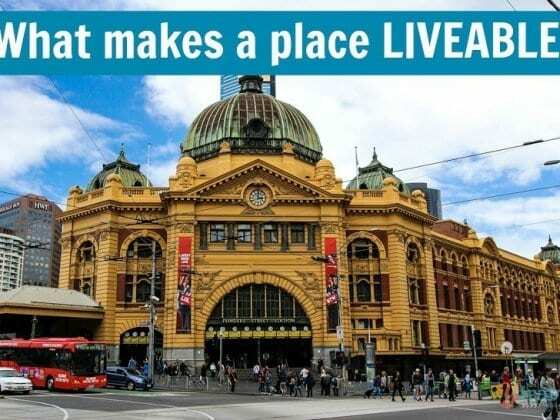 Nice article there and I would definitely agree that Melbourne can be a good place to live. Although, I recently visited Perth and it came on the top of my lists where I would likely to migrate in. I enjoyed everything about Perth. The nature, the wildlife everything. Just a question: How do you guys get money to do this? I need to understand that please. We haven’t been to Central or South America yet so didn’t want to add in any places we don’t know much about. We are keen to get to these areas and discover some liveable places though! You should visit Buenos Aires…it’s getting really nice and there are many things to do and visit. Argentina is gorgeous!! (I’m not saying this because I live there =P). Buenos Aires all the way! It’s a perfect mix of Latin America and Europe. I like diving koh lipe and koh similan. Coral is beautiful. anywhere in the okanagan valley, B.C. Canada. I love lists like these!!! Finding a “new home” was a major reason I set off to travel around the world, and my resulting list of possible places to relocate looks pretty different from yours: http://www.aroundtheworldl.com/2011/01/11/8-great-cities-of-rtw-travel-to-actually-move-to-and-live/ ! I’m curious- do you recommend any of these places more so if you were to account for employment? None of these were really put on the list with employment in mind. I think if you want to move overseas it is essential you first choose a place because you would like to live there. And then investigate employment options. If it doesn’t line up then move to the second best place on your list and see how you can work there. Find out what you really want from a place if you live there and that should help you start your research. What place is really pulling you? Except for countries like Italy where fluency in Italian is a necessity for employment!! I really loved reading these posts. I’ve spent most of my life living in Toronto, Canada. I’m 24years old but I’ve traveled quite a bit. I spent the last year living in Dublin, Ireland and Strasbourg, France. The only reason I came home was because I didn’t find a job in Strasbourg. I’m still looking. I wanted you guys to know I found your posts really positive, uplifting, and inspirational. I’m waiting to hear back on a position I hope to get in France. Reading your other post where you talk about people choosing places to live based on job opportunities, but that if you truly believe there’s a job there for you, you will find it.. I really am happy I read that. That’s awesome to hear Aly. Thank you! Good luck with the job. Where would you travel in the month of January if you had two weeks – mother and 19 yo daughter – and no snowy, wintery coldness please!? We love out of doors, nature, and eclectic towns/culture, and not so much big cities though we certainly want to visit New York City and Chicago someday! Thanks for your input RE Costa Rica. I am thinking relocate there from Boston USA. What area you know where concentrate and live permanently families from USA ? I don’t get the attraction of Hanoi. The government does not like Americans and is extremely repressive. You are very likely to be followed around and the people you talk to are likely to be harassed. I think you paint a totally unrealistic picture. I don’t agree. Not all travelers are American. We’re Australian. We loved the city and could live there. The picture we painted is totally realistic for us. I’ve been there twice, never had a problem and have had nothing but positive and memorable experiences. I have also lived in several different locations. Currently I am in Taiwan and despite my original plan to only stay for 2 years, I have been here over a decade. All that without learning the language – not my forte. It has been a great jumping point for traveling to many other places and the people are just simply lovely. I am not a fan of Taipei as it is just too internationally exposed, but the further south you travel the more “local” it gets. There are many gems to discover here.